My sweet baby boy who used to love to take a bath with his dear old Mom has decided it's way cooler to bathe alone. Which is fine. Except the part where I have to choke back tears at how fast my baby is growing up. And except for the part where the bathtub is slippery, and Little Spaghetti has a tendency to bonk his head on the faucet, the wall, and the soap dish because of it. So, I, like any good mom, went to the store and picked up a package of tub treads shaped like cute little yellow ducks. See. They're cute. And yellow. Also, I'd like to take this opportunity to point out my very much from the 1960's dusty rose-colored bathtub. You might recall her biggest rival: the salmon-colored kitchen sink. Rumor has it they used to love each other. Enough to spawn this brown beauty in the kitchen, and then after that the relationship kind of fell apart. Oh, but before I undigress too much, I want to let you know that there is no electricity to that lovely brown double oven. It didn't work when we moved it, and I had them cut the wires to it when they installed my new stove. I didn't want you thinking I was some kind of safety-disregarding floozy that stores flashlights and rolls of drawer liner in her oven waiting to catch on fire. Back to the ducks! I stuck them to the bottom of the tub and...they only covered like half the area I needed to cover. "No problem," I naively thought. "I'll just go pick up some more." As luck would have it, there were no more at the store. But I needed a solution! I'd scrubbed my tub and it needed to stay clean and dry for a whole TWENTY FOUR HOURS to give the darn things a chance to "bond to the tub." It was going to be a stretch to keep my water-loving toddler out of there for one day, no less two or three until I could get more ducks. So, I picked up what they had: some blue fish and some wavy white lines. Since I'd already stuck the ducks down, I decided it would look totally weird if I had a cluster of yellow ducks and a cluster of blue fish all awkwardly placed on their respective sides of the tub. Yeah...I even tried to build "clouds" of out the white waves there at the top. Is it any better from this more artsy angle? We spend a lot of time in various home improvement stores: Ace Hardware, Home Depot, Lowes. The usuals. Last weekend, we were - unsurprisingly - at one of said stores. I was feeling a little carefree: not in a rush to get anything specific, just enjoying a lazy Saturday. So I was browsing: smelling the flowers in the garden center, trying to figure out how to work the weed remover in the garden tools aisle, using a collapsible rake as a back massager...you know. A rocking garden seat. I was pretty excited about it, so I plopped myself onto the thing to give 'er a try. 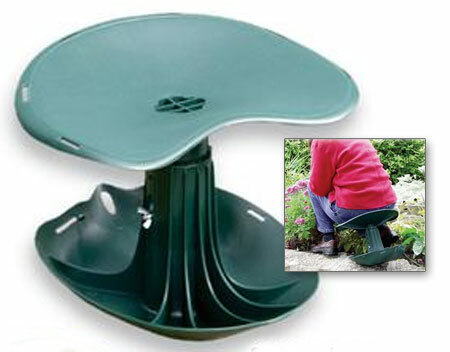 And, since it's a rocking garden seat, I was rocking - front to back instead of side to side. And I'll admit, I was rocking kind of *vigorously. * I wanted to make sure the thing could stand up to lots of wiggling and tipping. All the sudden I hear, "That's a garden toy, not a bedroom toy." I turn around. It's a complete stranger. A middle-aged man dressed in khaki board shorts and a very red Hawaiian shirt. He gave me a very brief creepy smile, but didn't break his stride. Then he disappeared around the corner. "Did he just say that?" I asked my husband who was pretending he didn't know me perusing the shovel selection. "Umm...yep. Yes, he did," he said. "That was really horrible. And totally inappropriate! And I wasn't even *being* inappropriate!! I could have been making WAY more inappropriate gestures with that seat. Aren't you going to do something? You should say something to him. I am your wife after all. What ever happened to defending my honor." "Yeah. It was inappropriate. But I'm not in the mood to defend your honor today. Let's go check out raised garden beds." I mentioned a little while ago that I am in the process of reclaiming my title as queen of my house. If you missed the first half of this story (i.e. the root of the problem) you can find it here. My mother moved to town about four months after Little Spaghetti was born. Since I'd decided that every household task was totally beyond my capabilities as a housewife to tackle, she swooped in like a knight in shining armor. Or a knight-ess? She cooked, she cleaned, she emptied garbage cans, she folded laundry, she washed dishes. Basically, she took care of me the way mommies do. And as the months wore on, it became harder and harder to make myself empty the dishwasher when I knew my mom would come over the next day and do it if I hadn't. I would decide that the lawn could go just one more day without water until my mom's next visit. I eventually stopped even thinking about the fact that the trash has to go out on Monday nights because my mom gathered it all up and put it out there so reliably. I know what you're thinking: that doesn't really sound like a problem. Then one day, I was sitting on the computer watching Teen Mom catching up on important news, and I looked into the kitchen. There was my mother, diligently scrubbing my pots and whisks from making soup the night before. And it hit me: boy, was I failing at being a housewife. I wanted to take care of my son. And my husband. And my home. I wanted to be the one providing my family with clean socks and washed plates. I wanted my husband and I to be making the decisions about what was right for our family - and not to feel like we owed it to someone else. And my mother had paid her dues as a mom. I'm a grown woman for goodness sakes! She needs to be rotting my kid's teeth with ice cream and snuggling him up in her lap to read books, not cleaning up after his lunch and washing his diapers. I didn't even realize how it had truly been making me feel for her to be doing so much. I had started to feel like a bad mother. A bad wife. I'd started to feel like I couldn't run a household, not just that I wouldn't. If there's one place I want to feel valuable, it's at home. In my castle, I want to be Queen of the Laundry. Or the Dishes. Or whatever. In part, I think it made her feel good that I still needed her. The truth is though, I'll always need her; she's my mother. But she doesn't have to be my son's mother, too. At the end of the day, I just want to be the kind of mother to my son that she was to me. I want to be the mom who makes our house a home, keeps all our ducks in a row, and helps my family navigate the rough waters of life, always making sure that having a clean, ironed shirt is the least of their worries. And all her help wasn't letting me do that. So I'm taking a stand. I'm done letting her do what I should be doing. I will do it a little at a time; I don't want her to feel unwanted or unneeded or unappreciated. I'm thinking of it kind of like weaning: weaning her off my household chores. First, I won't let the dishes sit in the sink when I know she's coming over. Then I'll stop letting my laundry pile up on my dresser. After that it will be getting out of the habit of putting off sweeping my floors or cleaning my bathrooms until she can't take it any more. And in the end, I think - I hope - that it will be better for all of us. And I will once again feel like Queen of this household. The seemingly simplest of chores feels like a monumental task that no woman in her right mind would ever try to take on. Do the laundry? I don't think so. Have you seen the three weeks' worth of clean laundry that's sitting in a pile on my dresser? It's a wonder that we even have clothes left in the closet to wear. And so it goes. Each time I think about doing anything, I work myself up into such a tizzy thinking about how hard it will be that it becomes overwhelming. And so I don't do it. Any of it. And then I spend all my time feeling bad about how I don't do any of it. I think it started out simple enough. Things *are* harder to do after having a baby. You can't just pick up and go like you used to. And you get interrupted. A lot. But it isn't as bad as I make it out to be. Every time I actually convince myself that I can, indeed, manage to put the dishes back in the cupboards or write up my list and get to the grocery store, I always find myself saying, "Oh, that wasn't so bad!" It seems that those times are few and far between, though. Enter: my mother. She moved to town when Little Spaghetti was about four months old. And this is where the real problem begins. But in the interest of not boring you with a post that's miles long, I'll save the rest of the story for my next post! Since we had Little Spaghetti, my husband and I have had many a conversation about whether or not we'll have another child. Don't get me wrong: I absolutely love my son. And I love being his mother. Our debate on adding other kids to the mix isn't because "it's a lot of work and some people just don't want to put that much effort in." (Thanks, mom). Our hesitation is trying to figure out what is in the best interest of our son. We've both had relationships with our siblings that have been very trying at times. I am a middle child, and I hate being a middle child. Mr. Spaghetti has just a younger sister, but even his mother has said that his sister was "just ornery and rotten to him" despite how sweet he was to her. I'm not saying that having siblings is a bad thing every time; it's just something we're considering very thoroughly before we put another bun in this oven. Anyway, I *know* that we're not having a baby soon. I can logically tell myself that we're doing what we think is best. But my uterus...boy, does she have different plans. A couple weeks ago, I was at a craft store. And I saw this beautiful fabric. A little voice in my head (or, more correctly, the lower part of my abdomen) said, "Wouldn't that just make the most adorable baby girl's nursery? It would be so lovely. Just imagine it..."
And, so, I bought it. Despite the fact that I'm not pregnant. And despite the fact that I'm definitely not pregnant with a girl. I bought THREE YARDS of it! Then, yesterday, I had to have an ultrasound of my uterus for what turned out - thankfully - to be a very minor health issue. But the whole time the ultrasound tech was poking around in my lady parts, all I could think was, "Look at that sad, dejected uterus. She looks so lonely, all empty like that..."
So I know two things: 1) I'm a crazy person who lets her uterus make frivolous shopping decisions for her and 2) I'm now doomed to only every produce male children who will not appreciate their pink and gray birdcage nursery. Does your husband know how to put dishes in the dishwasher? Because mine sure doesn't. If your does, would you like to send him over to my house for a nice dinner and a beer? After which, he can show my husband how truly painless it is to put the dishes in the dishwasher instead of on the counter? Thanks. I appreciate it. You know how after you get married, you find out those *quirky* things about your spouse that you just didn't pick up on when you were dating? Right now, my biggest pet peeve is one of those quirky things: my husband's inability to put dishes in the dishwasher. It doesn't matter if the sink is full. Or if the dishwasher is full. Or if the sink is empty. Or if the dishwasher is empty. Or if it's a full moon on Friday the 13th. All his dishes go on the counter. Sorry, I actually took this picture to show what a failure I am at housekeeping, so you'll have to excuse the fact that the dishes in the background aren't the focus. But see the water bottles, cups, etc on the counter in the background...all put there by my husband. So, this week, I've decided to reclaim my title as queen of housekeeping in my house (more on that later this week if I think you can stand my ranting). First chore to tackle: getting my husband to put his dishes in the dishwasher. I know, my kitchen is all, "Hey, I was built in the '60s!" I keep trying to convince my mom that salmon-colored sinks and gold glitter-speckled counters are retro, not ugly. What do you think? You think it's gonna work? Well, it's going to have to until I can find a husband mentor to teach mine the ways of the world. Or afford a house cleaner. ...than it did yesterday from the sweet mouth of my little babe. I wasn't particularly looking forward to Mother's Day this year. Sure, I was excited and all, but we had a lot of yard work to do. And we've all been under the weather with a cold. And it wasn't my first Mother's Day or anything, so it didn't seem quite as special. Until I heard my little boy say, "Mama." This isn't the first time he's said it, but boy did I hear it differently yesterday. It was the first time my son had called me "Mom" on a day just for mothers; a day on which I will forever celebrate the person I am to him. Something magical happened to me yesterday. My baby's hugs felt tighter. His smiles looked happier. His laughs seemed more melodic. My heart was fuller. My love for him was deeper. My soul felt more whole. Last year, I was so new to motherhood that I don't even think I understood what it meant. This year, I got it. I know what it means to be someone's mother. And I think...I hope...that each year for the rest of my life, I will "get it" a little more. Happy (belated) Mother's Day to all you wonderful Mothers out there! I hope your day was great! 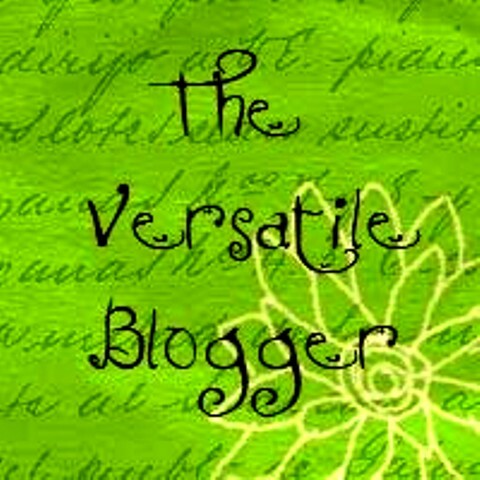 I've been meaning to thank a couple of wonderful bloggers who nominated me recently for the Versatile Blogger Asxward. Since I slacked on doing that, I thought today would be a perfect time to catch up on some blog business! So first, I am so happy to announce that Jules from A Little Bite of Life, asked me to be her Firecracker Queen this week. Jules is a very sweet gal with a great blog that's definitely worth taking a look at. Between her great recipes, awesome giveaways, and the feature called "Wine Wednesdays," you can't go wrong. And, I have to say, if she knocked on my door asking to be besties, I'd welcome her with open arms to share a cup of tea (or glass of wine!). Second, I want to say a big thank you to the lovely ladies at I Need a Playdate and Insantiy is Not an Option for the award! Check out my fun facts and the blogs I've recommended in the past here. 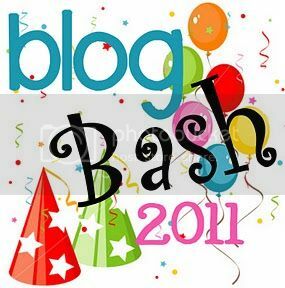 And finally, I am so happy to announce that I'm going to be part of Blog Bash 2011 June 22 - 26! I need to get busy on finding something for my giveaway, but I'm really excited about it. It will be the Spaghetti Westerner's first giveaway! Any ideas or things you'd like to win?? Shops you love that you'd like to see featured? Having a toddler (who has recently learned not just to walk, but to RUN) brings a whole new set of experiences into my life. Like this new game: What's in my shoe today? A binky? Yeah, I guess that's to be expected. A little boy's Easter tie? That's what mom gets for not being quicker about putting away the laundry. A spoon? Well, at least that's *his* shoe. Cell phone? Have I mentioned that I have a really bad habit of giving my kid things he shouldn't play with to try and distract him while I get things done? Coupons? Who doesn't like to save money? And you see that there? Tucked in that slipper? Yeah, that's the extra set of keys for my car. I seriously looked for those for DAYS!